Following a successful career as a Sales Consultant with Harcourts gold Papanui, Margaret has managed the Redwood sales team since 2010. Margaret led the Redwood team to become an award winning office, taking out the coveted top National office group 1 award for 2016/17. Currently sitting amongst the 5 top offices in Canterbury, the Redwood office is home to an eclectic mix of passionate real estate professionals who are proud to be part of this boutique office. This small team of experienced consultants who look after the real estate needs of the Redwood community and in and around the Christchurch area. Margaret’s responsibilities include leading and mentoring the Redwood consultants including proudly mentoring Belinda Dunster, the Canterbury Rising Star for 2015/16. Margaret is gold’s in-house trainer for new consultants studying for their real estate papers. Margaret’s passion for people and the real estate business will ensure that she and her team of consultants will continue to fulfill and exceed all your real estate needs and expectations. Anna began her real estate career in Queenstown before returning to Christchurch in 2015. 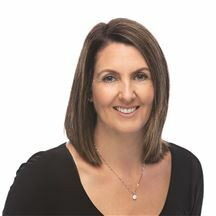 Working alongside Rob Ilott at the award winning Harcourts Gold Redwood Office, Anna will ensure you receive the best level of service around when you buy or sell your property with her. For Anna the sale doesn’t stop when they keys are handed over. Its about the after care and relationships built with her clients. Her combination of a professional attitude and approachable style means you can relax and enjoy a stress-free real estate transaction. Underpinning her experience, is Anna’s attitude to life; hardworking and determined would be just a couple of the adjectives used by others. Others would talk about Anna’s desire to do the best for her sellers and buyers, for she is a true professional who understands that those who entrust their real estate business to her need to be given uncompromising support and communication. Anna understands so clearly the four big aspects of Real Estate; doing the right thing for her clients, putting people first, listening and responding promptly and finally about working hard until after the job is done. Those that choose Anna will not regret that decision, her desire to succeed is only matched by her commitment to serve and passion for her job. Energy, Focus and Professionalism Are the traits that Christeen brings to her business relationships. 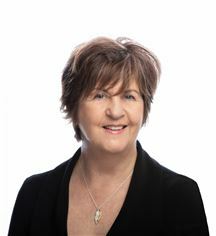 A career path that originated in a family real estate business, followed by a number of years in the Canterbury media industry, to succeeding at a strategic level in a national corporate organisation, Christeen understands what it takes to provide exceptional service and clear communication for her clients. This extensive history in sales and service industries, along with many leadership roles, has given Christeen a refined understanding of what is important to people, and she is passionate about building great relationships and ensuring her clients have the best customer experience throughout their real estate transactions with her. Christeen proactively and professionally responds to her client’s requirements by identifying what is important to them and believes that listening, identifying key requirements and following through are the keys to ensuring great success and lasting relationships. There are no gimmicks – just the belief that you and your home are the priority! “Thank you for all your help with our house purchase. You were really helpful in finding us places to see and sharing your advice and thoughts about them, which made the searching process much simpler. It was also such a help to have you to talk us through the auction process and what we had to do to prepare for and in the auction. We are very grateful for all your support in corresponding with the vendor's agent and chasing up things that needed to be sorted - that was a huge support!” Thanks again Sam and Julia For an Energetic, Focussed and Professional approach to Real Estate, call Christeen Flynn today! Born and raised in Christchurch, Christos Merentitis joins the multi award winning Harcourts gold Redwood Office with a focus on working with active and qualified buyers and assisting home owners through the marketing and sale of their home. Christos comes from a hospitality background working within a family owned and operated business that had a strong customer service and work ethos which has allowed him to refine these skills from a young age. With interests outside of real estate that include a passion for motorsport and the gym. 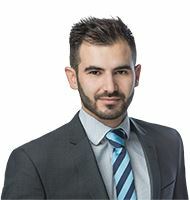 "I love keeping busy and I'm a firm believer in the quote, ‘If you're not moving forward, you're going backwards.’ When you're buying or selling real estate there is great value in being able to move forward to bigger and better things and my role is to help facilitate this with our clients.” Christos brings his high values and excellent work ethic into this role. Couple this with his excellent communication skills and you have a winning combination. If you are looking for an agent who will go the extra mile for you, he's your man, so give him a call today. Cyrena has lived in New Zealand for just over 10 years, initially coming here for High School and University education. She completed her Commerce degree with a Major in International Business and Marketing at Lincoln University and after completion of these studies Cyrena went back to China. Whilst there she spent three years gaining experience as a Relationship Manager in a corporate bank working in the investment sector, before moving back to New Zealand to start her career in real estate in the commercial section of our industry. Cyrena’s understanding of the different cultural nuance’s, nationalities and the requirements that comes with dealing with international and domestic buyers and sellers in both the residential and commercial real estate industry gives her a huge advantage over others working in this area. Cyrena' philosophy on client service is to give her clients straight-forward and honest advice while keeping her clients well informed, she takes pride in an established good working relationship with both her clients and the customers she is dealing with. Her personal commitment is to provide the highest level of service that not only meets and exceeds her clients and customer’s needs, but is delivered with her trade mark smile . Keni, as the former director of his own painting and decorating company knows and firmly believes that establishing a good working relationship with clients is paramount to the success of any business regardless of industry. It is with this mindset that Keni comes to the real estate industry with the intent of providing a more positive and honest real estate experience for anyone he works with. A proven performer with $500 million plus in property sold within Canterbury over 20 years. From the moment Mark decided to sell real estate there was no stopping him! His enthusiasm and energy explains his meteoric success which has seen him winning awards since 1998. With his vast experience at the forefront of Real Estate, Mark O’Loughlin is a recognised spokesman, acknowledged industry leader within the Real Estate market in Christchurch and Canterbury and well respected by his peers throughout New Zealand and abroad with frequent regional and national awards. 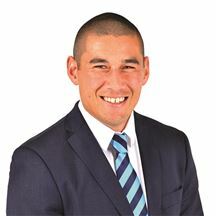 Mark is also a licensed auctioneer and business owner with the Harcourts gold north-west franchise and Harcourts Gold Property Management franchise and office. Mark’s diverse background, love of sport, family life and amiable personality sees him comfortable in any situation. Mark and his skilled team look forward to working with you, whether you are looking to sell or looking to buy your first home or replace your existing home – diversity is his specialty. His strong ongoing referral network from previous clients is testimonial to his success. Extensive knowledge in the blue chip locations of Fendalton, Merivale and all surrounding suburbs has underpinned the successful sales and auction campaigns completed. His involvement with multiple charities, Koru Care, Ronald McDonald House, Cancer for kids, Families for Families, Fight for Christchurch, and significant fundraising for schools and sports clubs is his contribution to ongoing community involvement. Whilst continuing to sell residential property, Mark now also deals with a plethora of project work with significant multi town house and apartment complexes which has seen Mark become a leader in the successful marketing of pre-construction and off the plan projects. This is an area of specialised marketing with a substantial database of inner city buyers and investors being utilised for outstanding results. Recent projects have been successfully 100% pre-sold before construction. So, if you are looking for a friendly, easy going yet professional agent - it costs you no more to employ a market leader and professional team. Call Mark, you will be pleased you did. Pedro has built up excellent communication skills over the years of living in the USA, Canada and China. He speaks English and Korean with the ability to relate well to people from a wide range of cultures and backgrounds wherever they may be from. Pedro is known for his outstanding client service and always having his client’s best interests at heart. Pedro makes himself very available to his clients, uses high-tech marketing techniques, personal touches and is a skilled negotiator. He believes strongly that it is not only his duty to represent his clients to the best of his ability but also to educate them throughout every step of the buying and selling process. Armed with the top notch information and market insight, he is able to help his clients make the best possible decisions. He won’t shy away from telling his clients things they may not want to hear when he believes it is in their best interests. Pedro lives in Cashmere in Christchurch with his lovely wife and two kids and in his free time loves to play with his kids, cook and play golf. Pedro’s goal is very simple, it’s all about helping to achieve his client’s goals and have a positive outcome. If you are looking for a person with the passion for buying and selling property, then you must contact Pedro for exceptional real estate service. Before becoming a real estate advisor and sales consultant Rob was an accomplished professional golfer, and it’s easy to see how the skills required to succeed in that field transition smoothly into the real estate industry where focus, patience, drive and commitment are paramount. Rob gives no less than 100% in every endeavour, and the same level of energy that he has devoted to his sporting career is now channelled to helping people achieve their real estate goals. Rob relishes a challenge both in his professional life and in his leisure pursuits, and that he maintains high levels of motivation and enthusiasm is evident from first meeting him. A dedicated father of three small children, Rob understands that a home is the centre of a family’s life, and this inspires him to make every effort to help shape his clients’ happiness as they transition into their next home. Although he calls Parklands home and is something of a specialist in the north eastern suburbs, Rob enjoys, and has great success, selling in every region of the city. Exceptionally well organised and with a thorough knowledge of the property market, Rob possesses the highly developed negotiating skills that are so vital to achieving success in today’s competitive real estate world. Whether it is preparing an effective marketing strategy, finding that elusive buyer or negotiating a sale, you could not put your property in more competent or more dedicated hands. Passionate About Property Rosie’s high energy and client focused attitude towards real estate is indicative of her commitment to the industry. She has proven herself to be a competent and focused professional, having previously owned award winning businesses. Her experience in negotiating and problem solving have underpinned her real estate career, which has led to a following of satisfied and loyal clients. Rosie is mindful that buying and selling property can be a stressful experience and her aim is to make achieving real estate goals as memorable and pleasant for her clients as possible. Her commitment to always putting the customer first keeps her strongly focused and motivated to succeed. “My determination achieves results”! TESTIMONIALS: "Good communication, prompt responses to queries, genuinely invested in getting a result". "A reliable, likeable professional". "Pleasant and informative". "Professional, thorough and a pleasure to deal with". "Communication was excellent". "Received well reasoned and appropriate advice, with impressive attention to detail". Kerrin has always had a passion for property and people and as a result, the decision to enter the real estate industry, was an easy one to make. "I love looking through houses, and even when I’m not looking at buying a new home, I always visit home opens. I also love meeting people and listening to their stories, and you meet some wonderful people in the real estate industry." Her prior experience in the customer service sector complement the more than ten years working within the real estate industry as a personal assistant for a top Sales Consultant. 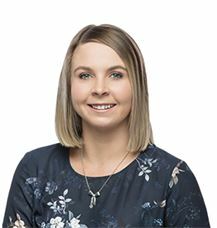 This combined experience has allowed Kerrin to gain a broad range of skills within the industry, and has in turn, led to her progression into real estate sales in the award winning Harcourts gold team. Kerrin’s goal is to work with clients to achieve the best possible outcome. Her attention to detail and commitment to customer service is outstanding. She will keep her clients well informed and has an open, authentic and professional approach in all her dealings. Kerrin’s passion for property and people shine through. Please do not hesitate to call Kerrin to assist you with your real estate needs. Christchurch has been Tarun’s home for the past ten years and he is very proud to see how the city has been transformed in recent times. Tarun can see that Christchurch has a very bright future ahead with a robust and relatively affordable housing market. Tarun comes from a sales background, having run his own call centre and food business, he knows how to utilise his negotiation and marketing skills to get the best results for his clients. Tarun’s goal is the successful and stress-free sale of his client’s home as he is very aware that he is dealing with his client’s most valuable asset. Communication is one of Tarun’s strengths and he believes that communication is the key to brokering a successful transaction. Being fluent in English, Hindi and Punjabi, Tarun is able to appeal to the wider market. With his marketing reaching a broader community, this give his clients the confidence that he is leaving no stone unturned in his search for your buyer. His goal is to create a competitive sales situation in order to get you the very best result. Tarun acknowledges that selling or purchasing a house can be stressful but with his genuine approach, knowledge and relentless work ethic, his confidence and calm nature he will ensure the process is as stress free as possible. 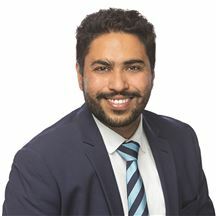 He works with a team of professionals including insurance, solicitors and mortgage brokers and the award winning Harcourts gold Redwood team so, if you are looking to make your next move, want to sell your home or make your next purchase, Contact Tarun Singh 021886332. 3 Bedrooms in the Zone! City Living - Country Vibe! A Smart Start and Vacant. Be Prepared For A Bargain! First Time Ever On The Market! Vendor Purchased - MUST SELL! Estate Sale - Must Sell! Invest in the Best location! Blenheim ... Here We Come! As Is Where Is - "Uninsured"
Lewisham Park "As Is" Really!! No rest until this is sold! Be Smart With Your Money!!! Rest Home Beckons: Must sell! Sought After - Seldom Found!